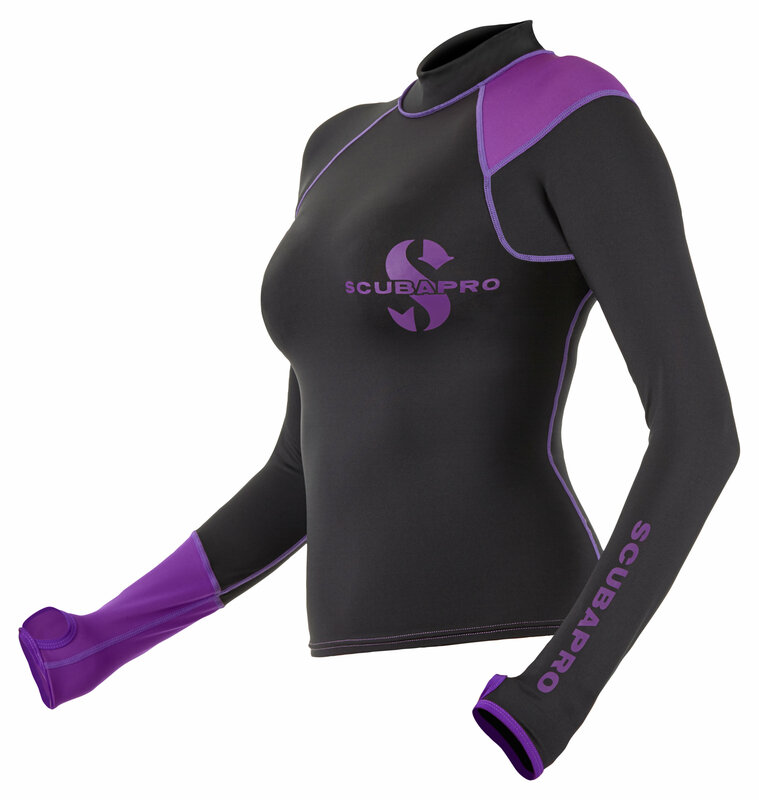 This basic rash guard comes with long sleeve and short sleeve styling. Both offer 50+ UV-protection and feature simple yet original asymmetrical designs, lending a stylish modern touch to a comfortable and super-affordable rash guard. Offered in Black/Purple in 5 sizes.